← What to do Next??? 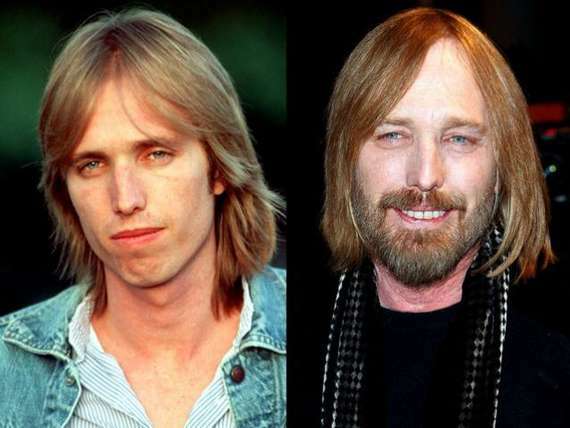 My husband and I watched a DVD about Tom Petty and the Heartbreakers the other day (actually, over two days since it is about 5 hours long) that spans his whole career up to a few years ago. The DVD we watched is called “Tom Petty and the Heartbreakers: Runnin’ Down A Dream” produced in 2007. Wow, what a ride he has been on! I’ve always loved his music, but like many other classic rockers, I got away from him for awhile. All I have is one of his “best of” CDs right now, but it has all my old favorites I used to hear on the radio through the years. His new stuff sounds just as great as his old stuff to me, however, and I plan to look for some of it! What I learned about Tom was that he knows what he wants, he’s a great songwriter, and he is determined. He just loves to write, play, and perform music. Period! It is hard to believe he is 63 years old, too! He can still rock just as hard as he ever has. And he’s happy and eager to promote others before himself. I didn’t get any impression that he was full of himself or thought he was better than anyone else or looked down on other musicians. Those were the things about him that I enjoyed learning. I am amazed that he has had such a long career and has fought many battles to keep his band, etc. For the most part, they have been together for 38 years! (One band member died many years ago, and one or two others have come, gone, and come back.) But that is still quite an accomplishment. It was great to hear about his childhood, his love for music and how he overcame so many obstacles in his career to just keep doing what he loves. I plan to look for some of his newer music, and I know he is planning on releasing a new album this year. I can’t wait to hear it! I was encouraged by his love for what he does, his perseverance, and his determination to keep on going, no matter what. As an artist, I needed that encouragement right about now. I hope his story encourages you as well, even if you don’t care for his music. Just watch the DVD and see what you get from it. By the way, “Runnin’ Down A Dream” is my all-time favorite Tom Petty song. That’s what I feel like I’m doing in my life right now…runnin’ down a dream. Posted on January 31, 2014, in Art Talk and tagged pencil drawing. Bookmark the permalink. Leave a comment.